and other documents should the Office of the Joint Director of Health Services Nalbari on or before 18th April, 2017. Last Date of submission: 21-04-2017. 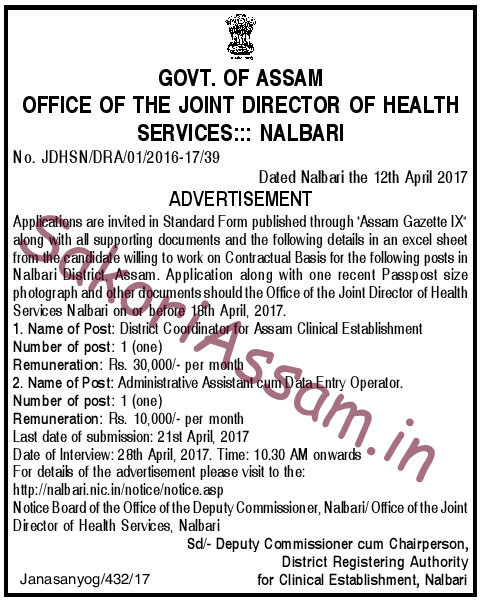 Notice board of the Office of the Deputy commissioner, Nalbari/Office of the Joint Director of Health Services, Nalbari. More details will be uploading soon.